This northern suburbs park is one of eight Perth Regional Parks managed by the Department of Environment and Conservation (DEC). Yellagonga Regional Park was named in 1990 to honour Yellagonga, the leader of the local Mooro Nyungar people who inhabited the region at the time of European settlement. The huge 1400 hectare Yellagonga Regional Park runs from Hepburn Avenue in the south to Joondalup Drive in the north and straddles the city boundaries of Wanneroo and Joondalup. 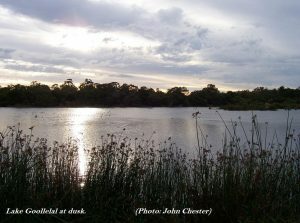 The park offers amazing biodiversity due to Lakes Joondalup & Goollelal, Beenyup & Walluburnup swamps and the mature woodland areas that comprise Yellagonga Regional Park. Throughout the whole year this ‘Jewel of the North’ has something to offer everyone. Bird watching, fungi spotting, wildflower observation, picnicking, numerous playgrounds, BBQ’s areas, cycling or jogging on the many paved shared paths. 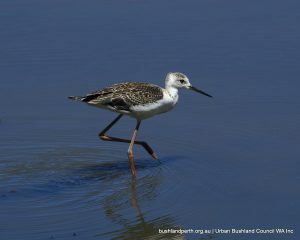 Summer is fantastic for birds, particularly the waders. As the lake levels begin to drop the waders start to appear. Winter’s first rains will herald the emergence of a huge range of fungi which are quickly followed in spring by the beautifully diverse wildflowers. Sunrise can be observed from the western lake shores and sunset from the eastern shores. Yellagonga Regional Park is an Urban Treasure.